Myron Bell believes that harness racing desperately needs a new concept to generate buzz, lure new fans and reinvigorate the breeding and sales businesses. And he believes he has just the right idea. 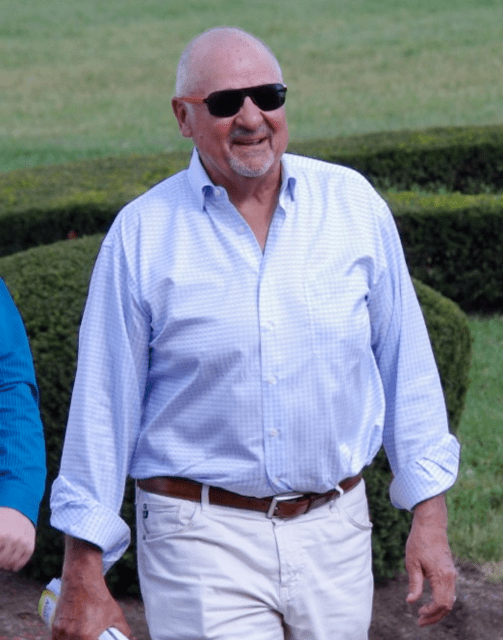 Bell, who is, among other things, a prominent owner, breeder and an advisor to Brittany Farms’ George Segal, said he is working on putting together a series of races for both gaits that would involve many of the sports biggest events and include millions in purse monies and bonuses. Bell said he has been inspired by the intense amount of interest that has been generated this year by the thoroughbred Triple Crown and American Pharoah’s attempt to join a group of racing immortals. But he believes the harness racing Triple Crowns are broken beyond repair and wants something bigger and better. “Our Triple Crowns have become a wandering minstrel show,” he said. Bell’s concept is to group four trotting races together, the Canadian Trotting Classic, the Hambletonian, the Kentucky Futurity and the Breeders Crown. On the pacing side, the series would consist of five races, the North America Cup, the Meadowlands Pace, the Little Brown Jug, a new race at the Red Mile and the Breeders Crown. Each race would be worth $1 million and anyone who sweeps all four or five would be entitled to a bonus of at least $1 million. “People want to win big prizes,” he said. “That’s why the lottery is successful. A million dollars is what attracts people. He said he wants the races to be held on “big” tracks, but would gladly make an exception for the Little Brown Jug because of its prestige and its built-in ability to create excitement and attract a big crowd. “You want the Jug as part of this because the Jug is already a multi-day extravaganza,” he said. As far as a bonuses go, Bell said he has already spoken to insurance companies to see what it would cost to get a policy covering what would be paid to a horse sweeping the series. So far as where all the money will come from to pay for purses and the insurance costs, Bell said he will start by asking the breeders to make a substantial contribution in the way of fees. “Whatever we ask them to pay they would get that back in revenue because their yearlings would, in my estimation, now sell for more,” he said. Funding would also come from sponsors and from traditional staking payments. Bell is among those that believes the sport must do something to break out of its doldrums when it comes to fan interest, the amount of betting, stagnant yearling sales and an annual foal crop that continues to decline at an alarming rate. “There are people this week that, other than the Triple Crown, don’t even know what horse racing is,” Bell said. “Now, they see a horse going for the Triple Crown and they say, “Gee, that’s exciting, I am going to follow that.’ In our business we need new buyers, new bettors, we need something to generate interest. We desperately need that in our industry. Though mainly committed to 3-year-old races, Bell said he envisions the series eventually expanding to include races for 2-year-olds and 4-year-olds. The concept, he says, is far more than a pipedream. He says he has talked to several prominent people in the industry who are behind him and has also received support from the racetracks that would be involved. He did add that it is imperative for the Meadowlands to get a casino in order for the project to move forward. “I will get this done,” he said.